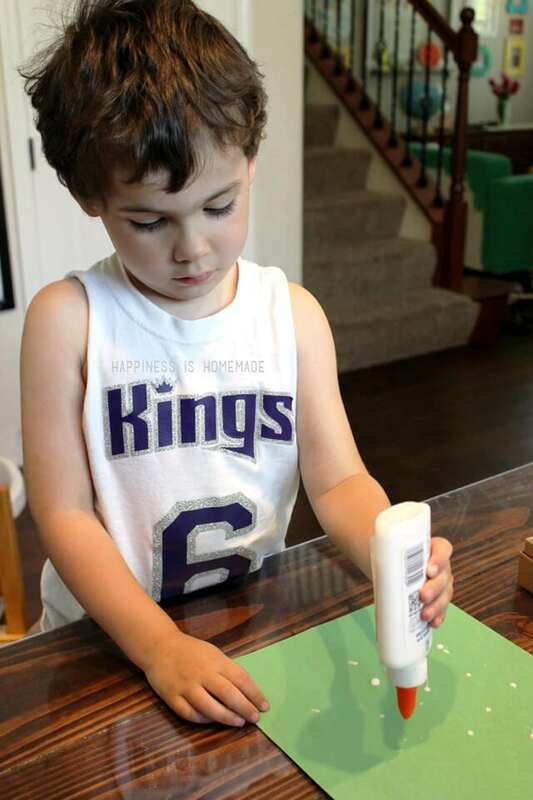 My youngest child constantly wants “to do making time” – that’s 3-year-old lingo for craft time – but I don’t always have time to set up an elaborate activity for him. 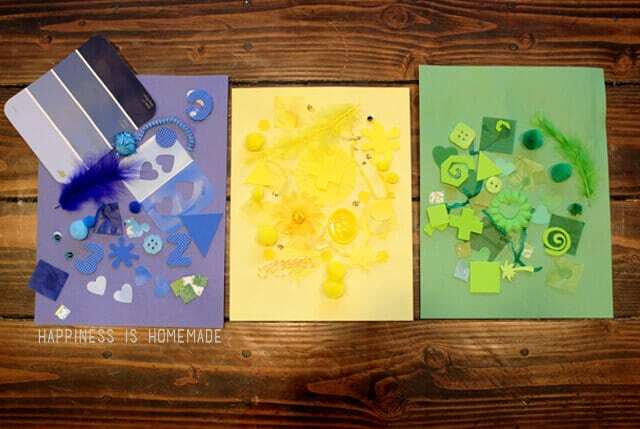 This color collage art is a perfect solution because it’s super quick and easy to prepare, and it keeps my son entertained for hours (with minimal adult assistance necessary!)! I start by giving him a sheet of colored construction paper and a bottle of Elmer’s School Glue. He makes dots all over his paper while I start pulling random odds and ends out of our art supply cabinet. Feathers, pom poms, sequins, stickers, tissue paper, gift wrap, twine, faux flowers, cupcake wrappers, paint chips and shaped punches…anything and everything that can be glued down is fair game! 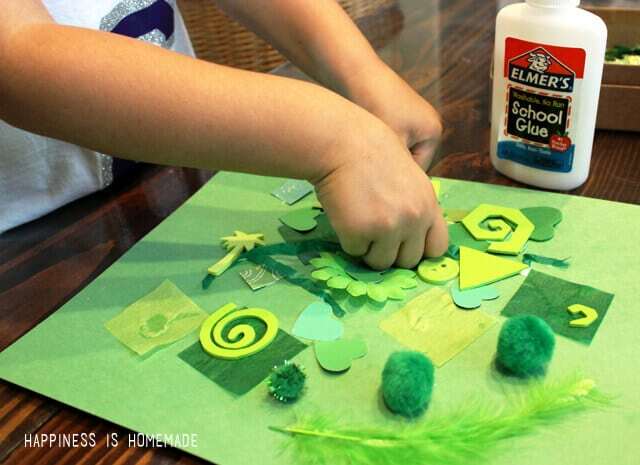 Make a big ol’ pile of all the miscellaneous supplies, and then invite your child to fill their paper with collage materials that are the same color. Easy peasy! Be sure to have a few more pieces of different colored paper handy because they’ll likely want to make a bunch more after they’re finished with the first one! Despite his love of messy craft projects, my little collage-maker is a bit obsessive about keeping his hands and work area tidy, so we always keep a container of Wet Ones nearby so that he can easily clean up. Right now select Target stores are carrying a combo pack that contains Elmer’s School Glue and Wet Ones wipes (just in time for back-to-school shopping! ), and I seriously think it’s one of the most brilliant marketing ideas ever. I love that these two companies recognize that they go together hand-in-hand! 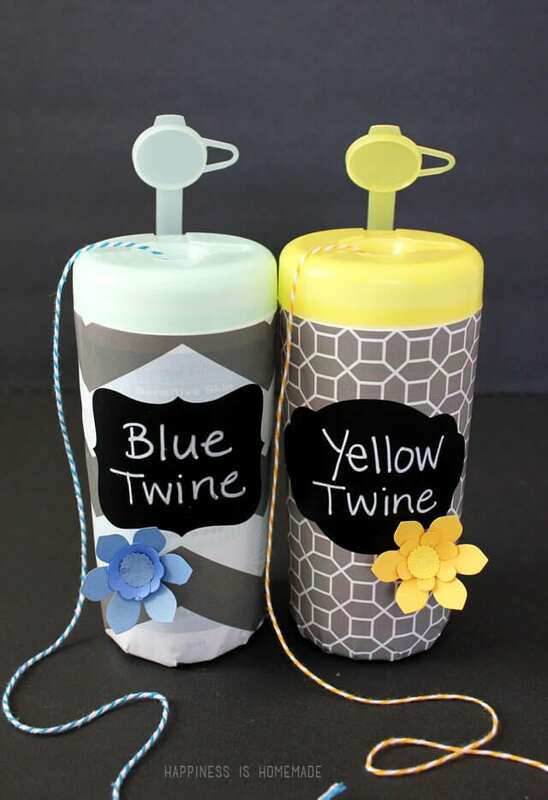 Plus, those Wet Ones containers make for perfect twine organizers when you’re finished with the wipes! From now through August 4th, Elmer’s is hosting a Pin-to-Win Contest where one lucky winner will receive a $100 Visa Gift Card and an Elmer’s and Wet Ones prize pack. 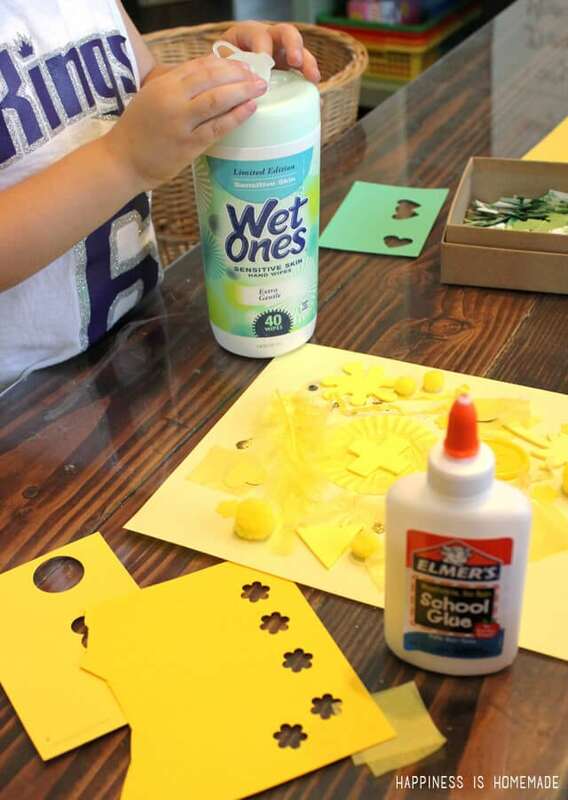 Pin your favorite crafts using inspiration from the Projects with Elmer’s and Wet One’s board. Use #ElmersWetOnesGiveaway in your pin description. The finished color collages look great just like this, but if you check back with us next week, we’ll be sharing a fun idea for how to combine your collages to turn them into a larger piece of artwork! 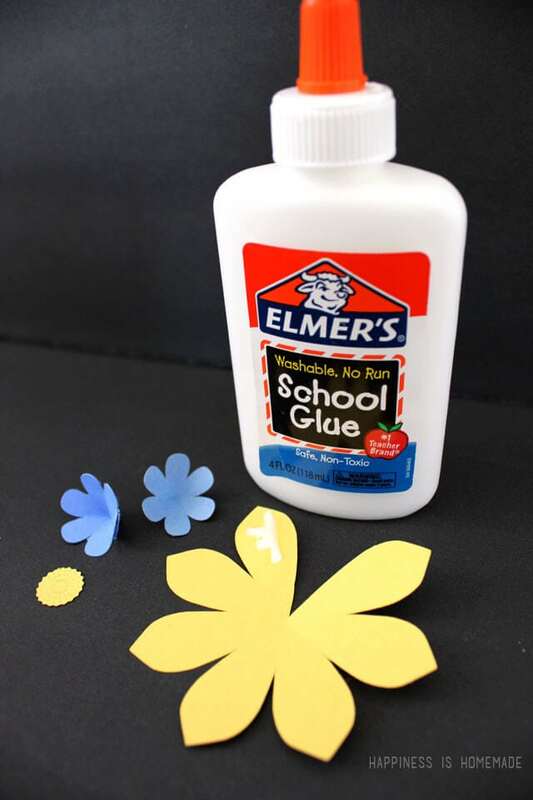 For more fun craft ideas, be sure to sign up for the Elmer’s Newsletter and check them out on Twitter, Facebook, Instagram & Pinterest!